LG jumped the gun a bit by releasing a statement on Thursday that the Korean manufacturer had sold 15 million units of its L-Series models. Apparently, this news was supposed to be released on Sunday. The company did sell 10 million units of the LG Optimus L3, LG Optimus L5, LG Optimus L7 and the LG Optimus L9 by the end of last year, and and an additional 5 million units in the opening weeks of 2013. L-Series sales in 2013 have worked out to one every second. 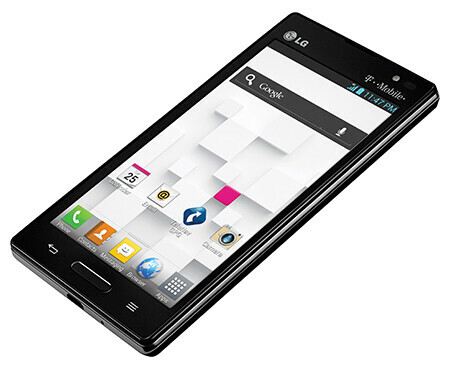 With the recent introduction of the LG Optimus L3 II, LG Optimus L5 II and the LG Optimus L7 II, LG is arming itself to reach its goal of selling 45 million smartphones in 2013. LG is adding some of its popular features to the phones in the series, like the QSlide. This allows you to use two apps at the same time. For example, let's say you want to watch a movie and send email. The email app is translucent so that you can watch the movie. But if you need to send an email, using the QSlide bar on the screen allows you to adjust the settings so that the email becomes solid and the movie is translucent in the background. The slider lets you adjust the translucency of each app. Another feature, QuickMemo, allows you to use your finger to doodle or write a note or memo that you can keep for yourself or send off to your social networking sites. LG seems to be covering all of the bases. While the L-Series has obviously done quite well, LG is going to have to see if it can have the same success with its high-end models. The LG Optimus G might not have performed as strongly in the U.S. as LG had hoped it would, having to compete with top-shelf models like the Samsung GALAXY Note II and the HTC DROID DNA to name a couple. The big question is whether or not the LG Optimus G Pro has earned itself a stateside launch and if so, will it be able to play with the next generation of big boys like the HTC One and the Samsung GALAXY Note III. You'll have to excuse me for finding it rather humorous that LG is bragging about selling 15 million units of an entire series of phones (4) when Samsung claims to have sold 60 million units of one phone in 2/3 the time. Move along, folks. Nothing to see here. LG Optimus G is better than all the Samsung phones both in quality and performance. wow, i hear samboys talking about copying while Sammy is the greatest copycat itself. Since they sold rather well i guess they will all get Jellybean! 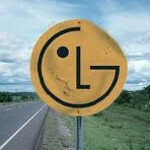 Ups its LG, wont happen anytime soon. Yeah, they sold one every second...........and then the CEO woke up and facepalmed himself. Uhh.. People actually bought those crap? The only time LG had the spotlight was bcoz of the nexus 4. Seriously, nobody should even consider buying their stuff. LG - poor man's samsung. O2x then switched to S2. Sorry I might have went overboard there. Was hoping maybe they should concentrate more on software updates and respectable upgrade for the L series, seeing as its already 2013. They could have gone with and hd screen on at least the L7 II. Think my L9 on Tmobile monthly is the best ive ever had & will actually stick with a while & ive had every os on every carrier. Lg got it right with this one. Glad to read that it's supposed to get updated to 4.1 as well..
Where did you read that the L9 is getting Jellybean? I'm curious. It's not one that I would expect to get updated. Unless it has been officially announced, I wouldn't hold my breath, knowing LG. Hi I just googled it of course and couple sites that said lg in Korean I think it was or lg asia confirmed the series will get updated. Ya ive heard that lg is slow with the updates though so I wont hold my breath, but hopefully it will get it.. The device is only few months out so I would think it would also. But ya you never know. I don't think ill sweat it with this one as long as im not missing anything major.